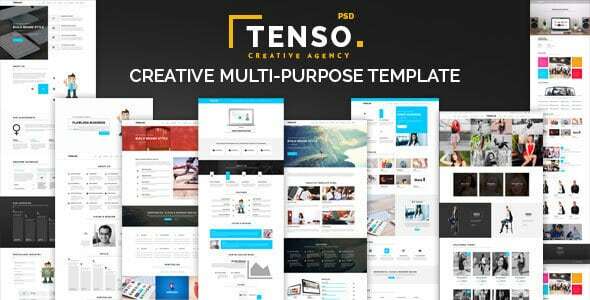 Tenso is a minimal, creative Multipurpose PSD Template. Once you found Tenso, you’ll realize this is the monochrome PSD Template Theme you are searching for. Comes with stunning Pre-defined Homepages, Tenso fits for a range of business & corporation like fashion store, photographer, media agency, web studios, designers, freelancers, entrepreneurs, marketing, artistic agencies. Please Note! All images are just used for Preview Purpose Only. They are not part of the theme and NOT included in the final purchase files.